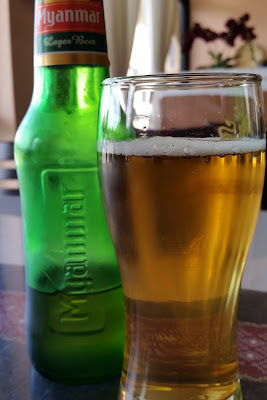 Myanmar Lager Beer - AoM: Beer et al. 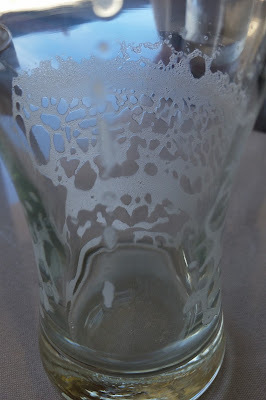 The beer had a likable pungent smell. I reasoned that either I've come to enjoy the smell of lagers (which I historically didn't) or that this one smelled exceptionally pleasant. 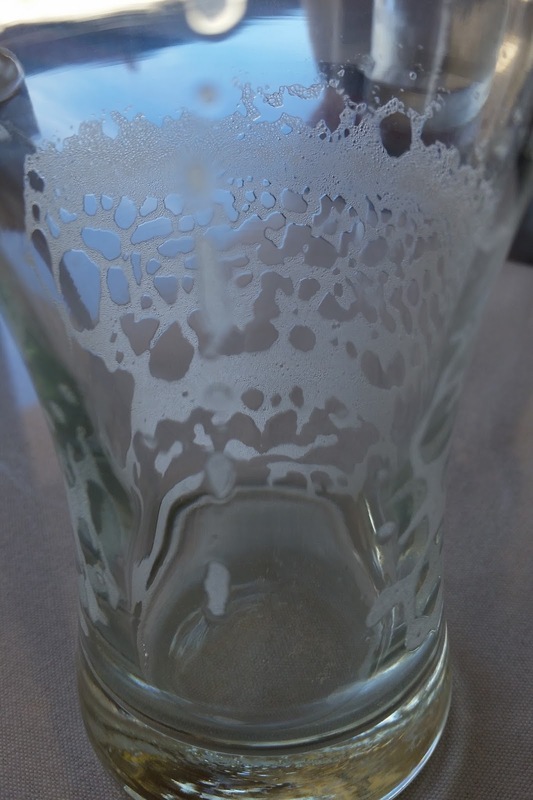 The taste was delightfully light and there was a highly carbonated mouthfeel - perfect considering I just came in from the blazing heat. On the flipside, there wasn't much of a taste. *According to Wikipedia.org, the military government changed the country's name from Burma to Myanmar in 1989; Burma is to Burmese as Myanmar is to Myanma. 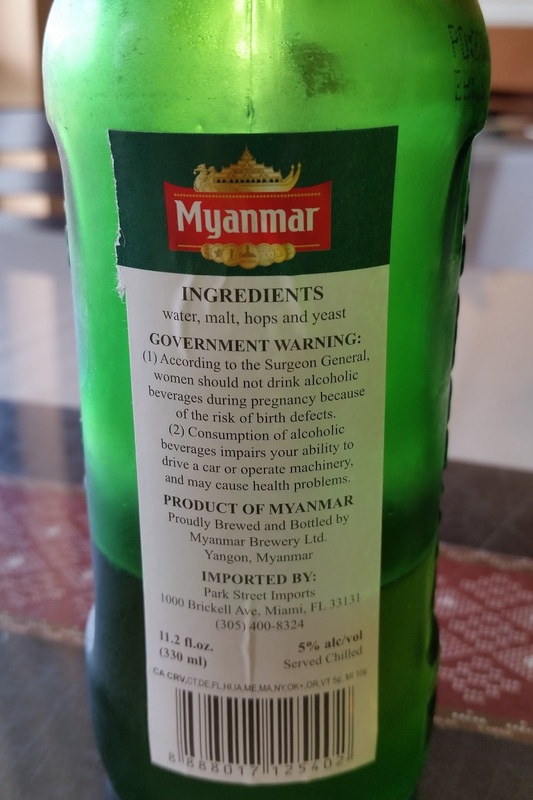 Myanmar Beer was launched on 24th October 1997 in Quart followed by Draught in February 1998 and Can in March 1998 with 5% alcohol by volume. On December 2013, Pint was introduced into the market with same great taste. Myanmar Beer reflects the strong local values of the Myanmar people, and the rising aspirations and sense of belonging to the country and patriotism. It has become one of the symbol Myanmar is proud of. 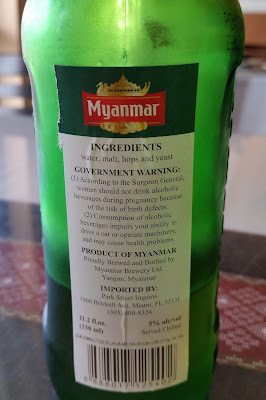 Myanmar Beer provides you the new lens to experience everything afresh.